I have tried multiple different solutions and none have seem to work and always result in obtaining this message. 1) I've tried to make the NDS-backup media cartridge 512KBytes, did not work. 2) I've tried a different version of the game/download thinking it may be corrupted. Didn't work. 3) I tried to make the SAV/SNA file format uncompressed and compressed, neither worked. 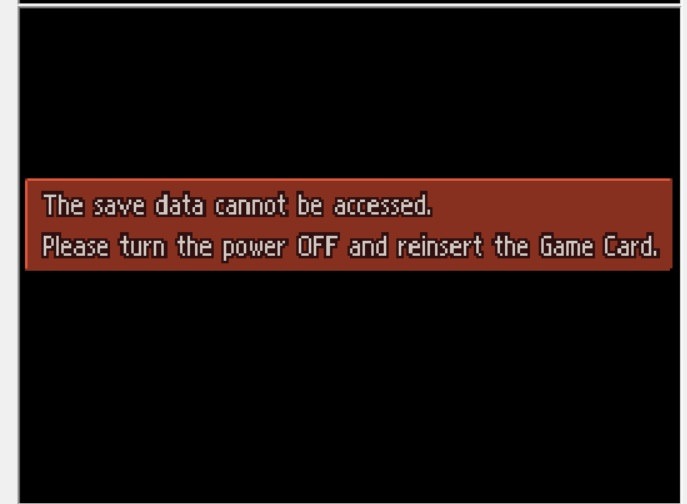 If I turn the NDS cartridge on auto, then at least the game will play but then I cannot load my save games files rendering it moot to play. Does anyone have a solution to this recurring issue?